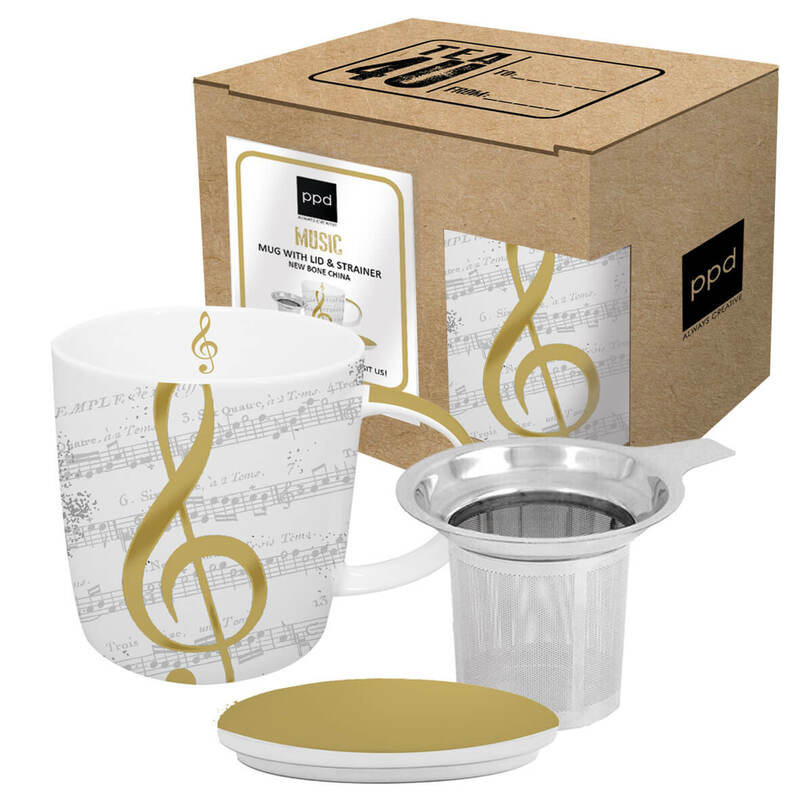 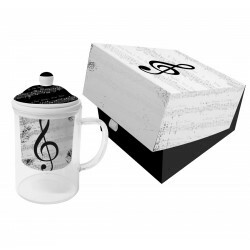 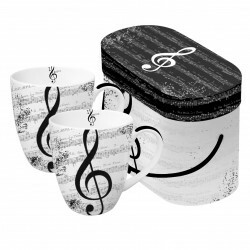 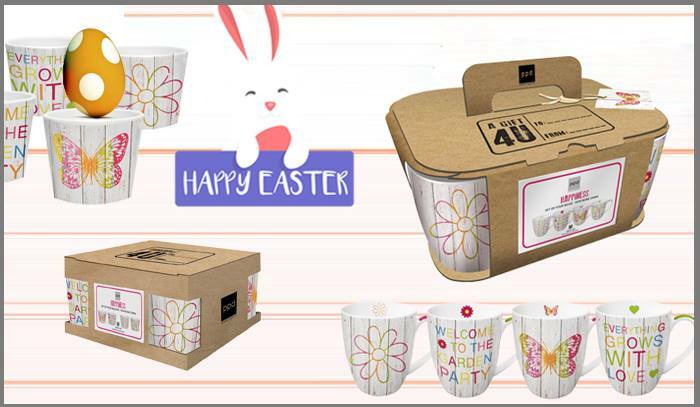 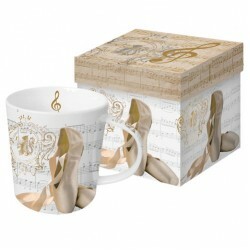 Pretty tea mug with decorated lid made of new bone china and a stainless steel strainer (H:7.8 cm; Ø7cm), packed in a trendy cardboard gift box with name tag. 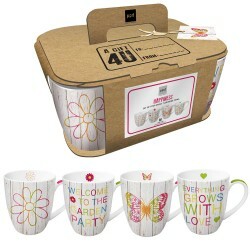 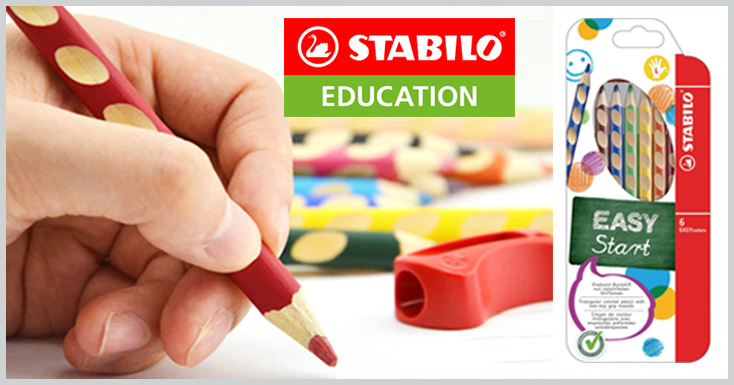 The mug has a capacity of 0.35 l. The diameter is 9cm and the height 9.5cm (including the lid). 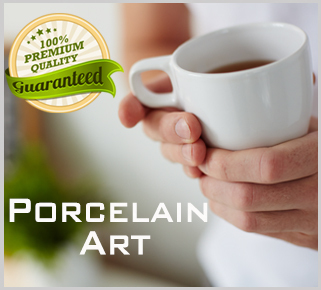 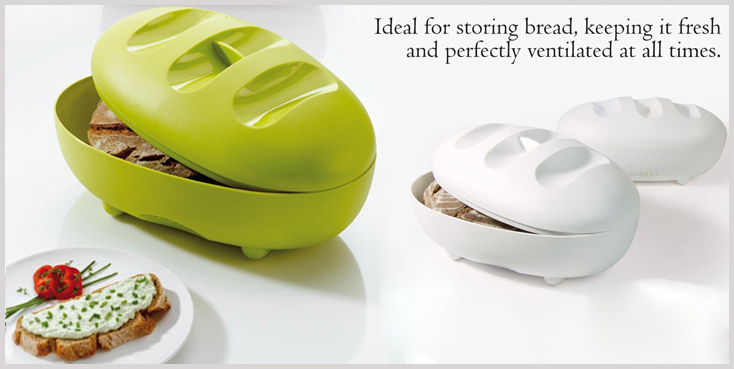 It is dishwasher safe and suitable for microwave use.